Mining stocks represent one of the last ‘unknown’ frontiers in the capital markets. Even seasoned investors feel they are speaking a different language once they enter the world of assays, geophysics, and kimberlite. Unfortunately for most, we’re at a tremendous disadvantage when it comes to mining shares, so we simply watch from the sidelines. While we watch, these tiny investments frequently and continuously create dramatic profit opportunities before our very eyes. Now, thanks to James Fraser and Kevin Pederson, a bridge has been built across that knowledge gap. Two passionate and experienced men, they reveal the complicated world of mining investments in a way that all can comprehend. They get you in the game. What may have once seemed complicated, quickly becomes clear. With that clarity comes the opportunities that are all around you, and always have been, in the mining sector. In fact, shares in metals exploration and production companies represent one of the few investment vehicles in recent years that have both enjoyed tremendous growth, and acted as a hedge against the economic turmoil. A safe haven with upside potential, something so rare in today’s day and age that the smart money is taking notice. Why mining shares, why now? Let Mining Stocks Guide explain exactly that. Backed up with trends, statistics, and expert opinions, you’ll learn point by point what is to come, and exactly how to position yourself to take advantage of it. Follow along as James and Kevin open up a whole new world of possibilities in the stock market. Mining shares have made many millionaires, and given the recent trends in metals demand and gold prices, there’s a lot more wealth building yet to come. 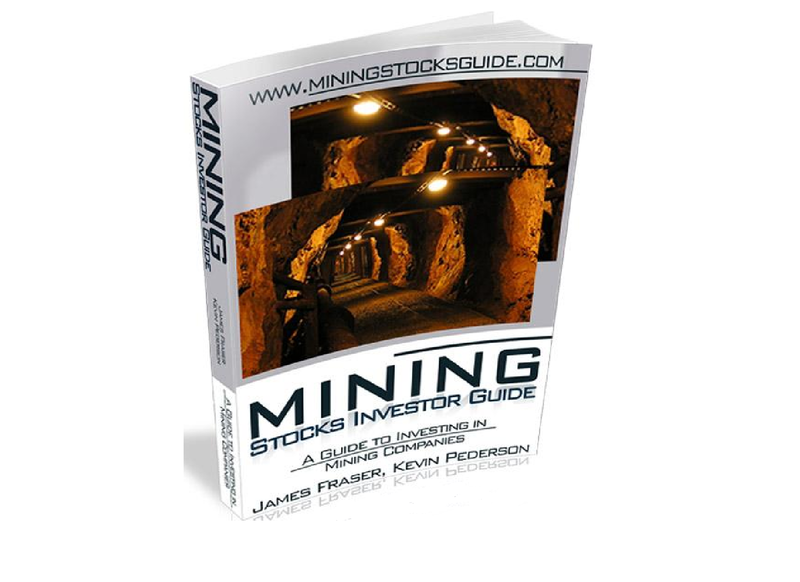 Even if you’re a brand new investor in the metals industry, Mining Stocks Guide explains everything you need to know to be successful. From the basics to location risks, from exploration to production, you’ll find yourself with more knowledge than 95% of investors out there. And in my business, that’s what I call an advantage.